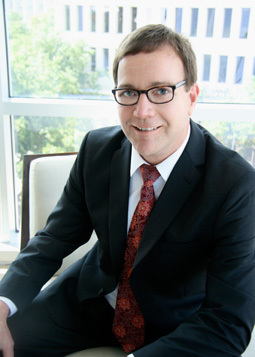 Jordan M. Parker is a partner and Chairman of the firm’s Litigation Section. He defends physicians, hospitals, nurses, nursing homes, and other health care providers in medical negligence lawsuits. Mr. Parker also handles mass tort, drug liability, medical device liability, general products liability, catastrophic injury, construction defect, and other traditional personal injury cases. He represents physicians in contested proceedings and license revocation hearings before the Texas Medical Board and advises hospitals and other health care entities regarding credentialing matters. Mr. Parker also represents nurses before the Texas Board of Nursing and other providers before their respective boards in Austin. Mr. Parker represents individuals and businesses in a variety of contractual and commercial disputes, including emergency relief from or response to Temporary Restraining Orders. Mr. Parker represents husbands and wives in select divorce proceedings and handles select contested child custody and child support modification cases for fathers, mothers, grandparents, and guardians. When necessary, Mr. Parker obtains or responds to temporary and emergency Motions and Orders, including Temporary Restraining Orders. “The Standard of Care: An Attorney’s Perspective”, Cook Children’s Pediatric Anesthesia Conference November 17, 2012.